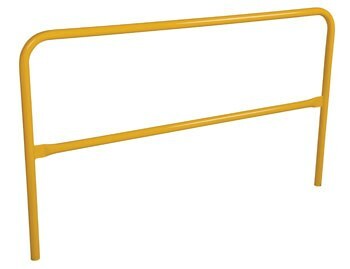 This durable 72 inch Pipe Safety Railing is made of schedule pipe. Protect people from uneven walkways and mezzanine drop off’s. Steel railing features powder coat safety yellow finish.